Frequencies :- 7040 cw and 7240 ssb. other bands frequencies ending in .x40. Check out W6RO on Qrz.com for QSL details. The Fists CW club have some competitions (NOT CONTESTS) organised for the bank holiday week and weekends 22nd to 27th of May. If you have a vintage radio and would like to Chirp and Drift or warm it up for a few hours Rex and I will be around to help send or receive some slow morse. How about some AM (amplitude Modulation) ! pre- arranged as its not a popular mode. The 2m refresher looks interesting, 2 hours per day finishing at 9 pm, Rex and I will be operating from the ridge or Rex’s QTH with a beam for that event. Let us know if you would like to join us for a cw qso 5 wpm or as slow as you can manage. perhaps some practise at club on Wednesday. Notice of the forthcoming AGM. The Thornbury & South Gloucestershire Amateur Radio Club will hold its annual general meeting on Wednesday 3rd of April 2019. The timings will be 19:30 for 20:00 start. Minutes of the previous AGM. Election of the new committee. Folks its been a while but thought I’d post a hello from the’ valleys’. 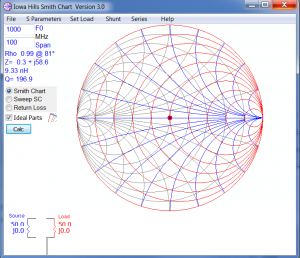 Well since John (M0HFH) posted in November on Smiths Charts and Mathematical Matching things have been moving on. There have been a couple of component builds. Some frustration, but a steady stream of improvements and knowledge gained. John (M0HFH) will be leading a talk, see programme for when, on what has been happening so I do not want to spoil the night by giving to much away now. For The past 2 weeks you may have noticed some activity at the top of the room , with instruments, a 2m copper tube dipole multiple VNA’s and computers. 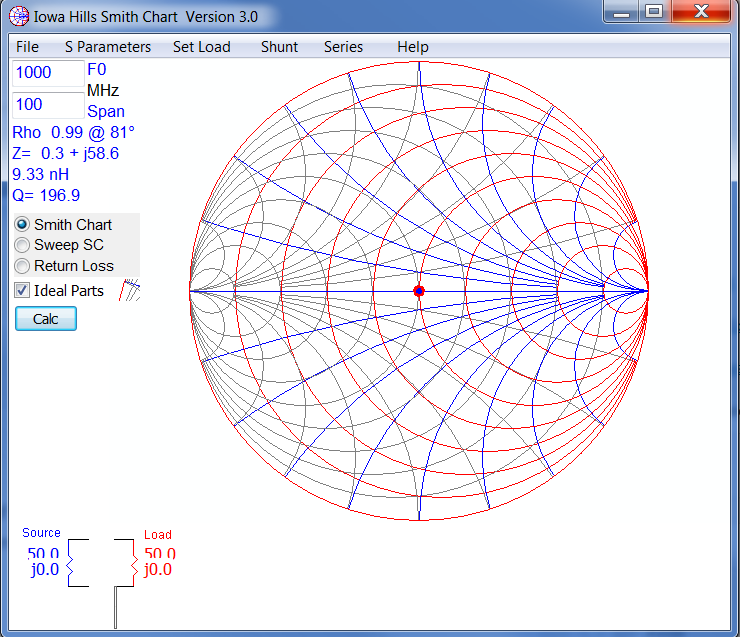 I am planning a project and talks on the practical application of smiths charts method of mathematically matching RF loads. There is some way to go before we are in a position start the talks, feel free to ask questions. On Wednesday evening we will be running a capacitor workshop again making values to implement a match created by smiths chart calculations. We will be operating on Saturday 22nd September from the Vale of Berkeley Railway at Sharpness Docks. Postcode is GL13 9UD for the engine shed. I will be there about 0830 to get set up and we should be operating from approx 10am until 3pm. The callsign will be GB4VBR for those unable to attend but who want to listen. Tonight is the clubs annual pedestrian foxhunt around Thornbury. I will probably start from the Rock Street Car Park as it is slightly raised to find Paul M0ZMB the fox.. I am also going to have APRS running to se where I go and what transmission is like around Thornbury.